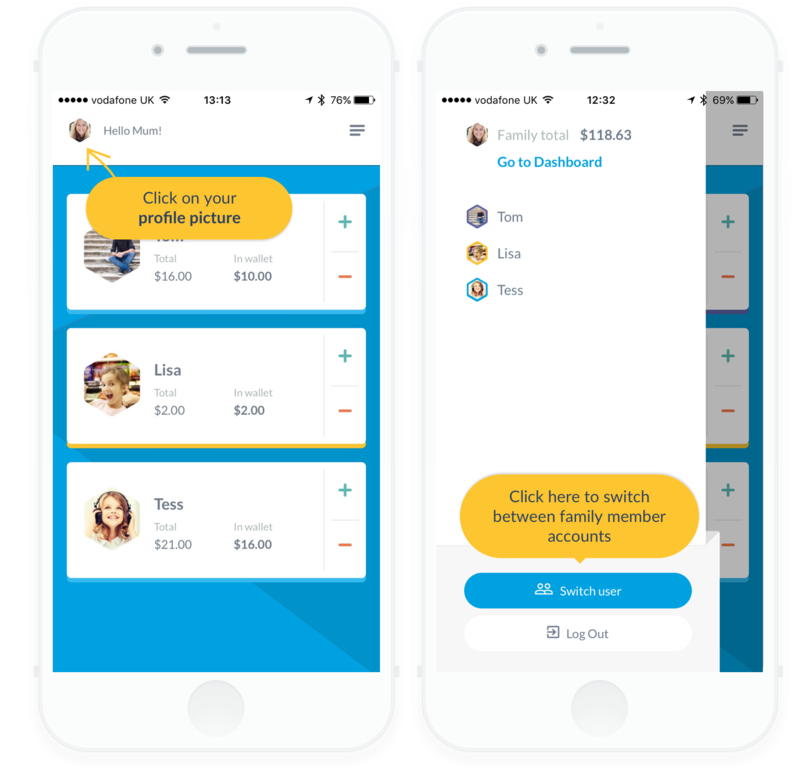 You’ve joined thousands of other families in getting pocket money sorted. Watch our overview video and read our 5 tips to make the most of RoosterMoney. Welcome to RoosterMoney! from RoosterMoney. Weekly, fortnightly or monthly? 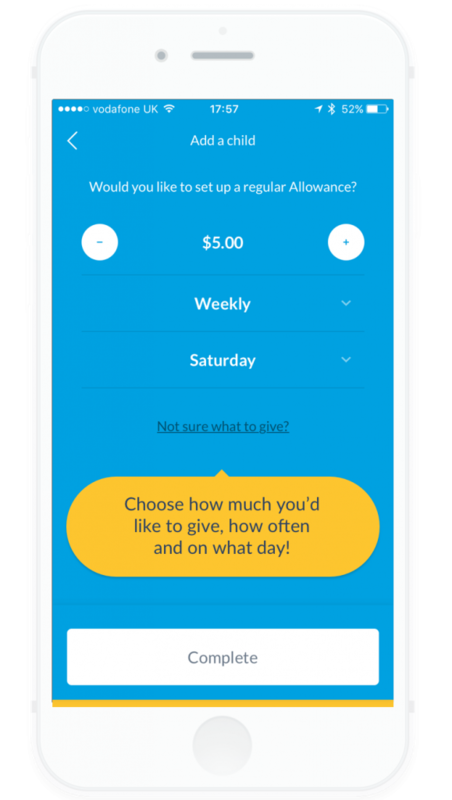 When you add your kids, you can choose what allowance you’d like to give and how often. Don’t want to start with money? You can change their currency to ‘stars’ from their account settings. 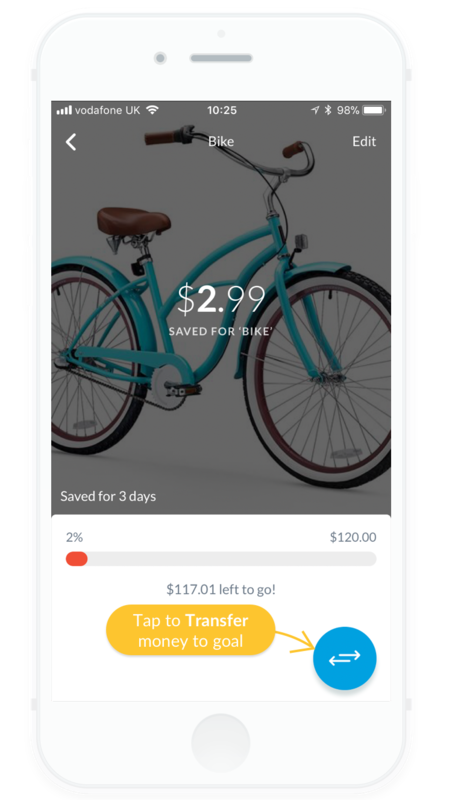 You can track what is owed digitally in the app, keeping their money safe with you, and helping you easily remember what is owed to them. Does your child have a piggy bank with savings already? Transfer the amount to your child’s account with a ‘boost’ so they can start saving towards goals! 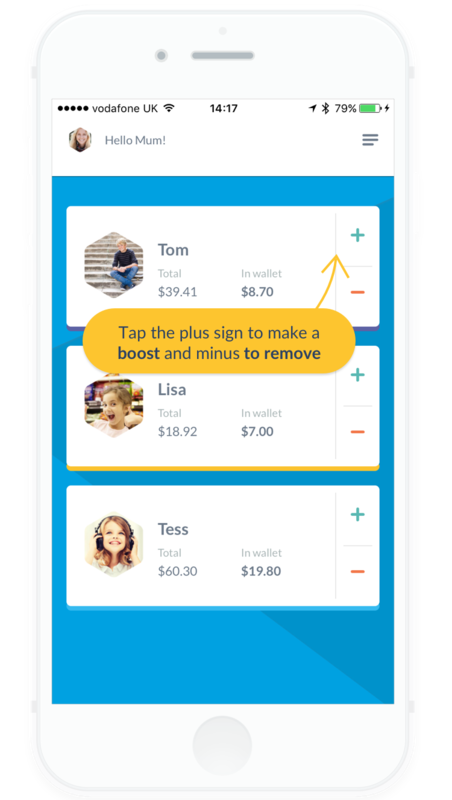 You can quickly boost or remove money from your child’s account by tapping the plus and minus sign next to their photo. You can also avoid the shopping showdowns 🛒!! When you're out in the shops and your child wants to buy something, you can check if they have enough money in their RoosterMoney account, and use the 'Remove' button to deduct the amount for the item you've bought for them. It might make them think twice on buying that magazine. 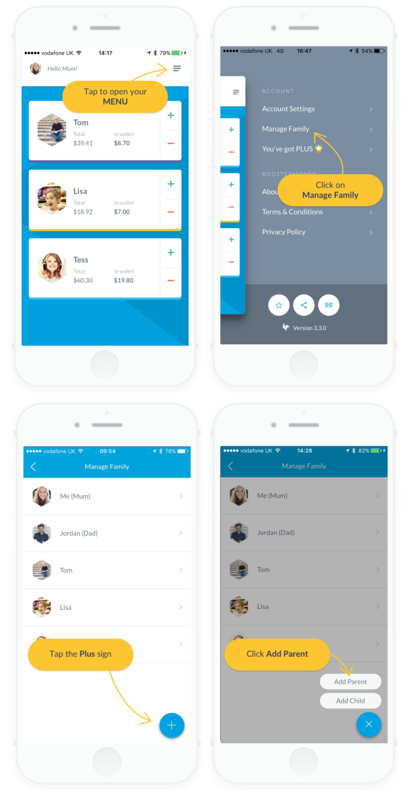 Add a secondary parent or guardian to help manage your RoosterMoney account. This means both mum and dad (and even grandma when she looks after them) can give boosts or make deductions from the wallet when out and about! Note: You can add more than one extra parent/guardian when subscribed to PLUS. If they don’t have their own device, they can easily view their account from yours. Just click on your profile photo in the top left and tap on ‘Switch user’. You can then switch over to your kids account and let them take-over their money management. Put your kids in the driving seat! 🚗 The best way to learn is by doing. Get your kids managing their own account, so they can start making decisions on what to allocate where. With your guidance, you can create space to talk about money, like the difference between a need and want, and the value of saving for a rainy day! 5. Start your kids on their saving journey! Now that we’re all set up, your children can start saving towards their goals and allocate their allowance towards these. They can also add money to ‘Save’, to learn the value of long terms savings for a rainy day! You can even lock your kids out of the safe, so they can’t easily dip in and out of their long term savings. 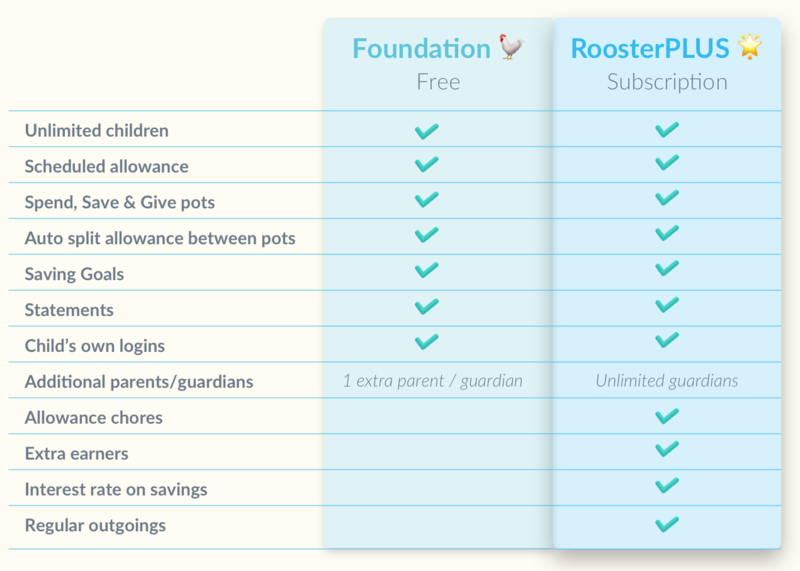 Foundation features of managing allowance, saving and goals are free for all, but you can unlock some extra features with our RoosterPLUS subscription. Find out more about the RoosterPLUS subscription here.